Your Miami medical malpractice attorney can accurate decipher medical records and documents and will aggressively present your case after a thorough assessment of the facts. Sep 03, 2015 | Under Medical Malpractice | Posted by Dante Law Firm, P.A. Recently, a Florida appeals court upheld the constitutionality of a change in the state’s medical malpractice laws. This change ruled, in part, that those pursuing malpractice lawsuits must waive some of their privacy rights. The three-judge panel of the 1st District Court of Appeals dealt with issues regarding a 2013 law on ex parte communications. The law requires a person who is filing a malpractice claim to sign forms authorizing such communications. Essentially, this means that a defense attorney could obtain private health information about a patient who is suing a doctor for malpractice. The information could be obtained from the patient’s prior doctors without his or her attorney being present. Plaintiff Emma Gayle Weaver contemplated filing a malpractice lawsuit against a Florida physician, however concerns regarding whether the ex-parte change was constitutional, prevented her from doing so. Weaver alleged the Florida law violates citizens’ right to privacy as afforded by the Constitution. The Court of Appeals disagreed, stating, “It is well-established in Florida…that any privacy rights…are waived once that information is placed at issue by filing a medical malpractice claim.” Another issue at hand was whether the ex parte changes violated Florida laws on separation of powers–specifically, whether the Legislature encroached on the role of the Florida Supreme Court. Once again, the appeals court upheld the original law, ruling the change is not procedural. Are Medical Malpractice Lawsuits Frivolous? Many people are under the mistaken belief that most medical malpractice lawsuits have little basis. In truth, a significant number of patients suffer serious harm from negligent medical practices, failure to act, dangerous drugs and dangerous medical devices. Of the hundreds of thousands injured each year, very few of them actually file a lawsuit, yet the Institute of Medicine states that nearly 100,000 people in the U.S. die annually due to preventable medical errors. Hundreds of thousands more suffer serious injury due to preventable medical errors. Further, money is rarely the motivation for many patients, rather they simply want to know what went wrong in their case, or may want to ensure the same thing does not happen to another innocent victim. In fact, settlements, jury awards and the amounts to defend malpractice claims amount to less than one percent of all health care costs. Researchers at the Harvard School of Public Health determined that more than 97 percent of medical malpractice claims have merit and that “portraits of a malpractice system that is stricken with frivolous litigation are overblown.” Overall, medical malpractice attorneys reject 80 percent or more of the requests for representation received and, on average, only one in eight patients injured by a negligent health care provider actually file suit against that provider. These statistics seem to clearly show there are very few frivolous medical malpractice suits filed. The worst types of preventable medical errors are surgeries on the wrong body part. Some studies claim this happens as often as 40 times per week across the United States, although many hospitals have begun marking the correct body part with a Sharpie to avoid such tragedies. Anesthesia errors rank high among medical malpractice claims. Anesthesia errors can be the result of defective equipment or negligence or incompetence on the part of the anesthesiologist. Most anesthesia errors are related to administering too much anesthesia to the patient. Emergency room errors also rank near the top for medical malpractice claims. Some factors associated with ER errors include: insufficient doctors and nurses working on a particular shift, an unsanitary ER, insufficiently trained, overworked or overtired staff, or medical professionals who fail to fully evaluate the presented medical condition or take a complete patient history. Hospital malpractice may be due to refusal to treat a patient, use of unsterilized equipment, administration of an incorrect drug or incorrect dosage of a drug, failure to properly interpret test results, surgical errors and post-op infections. Misdiagnosis or delayed diagnosis is also one of the primary reasons for medical malpractice claims. The patient’s health can be severely compromised when an illness is diagnosed too late or incorrectly diagnosed. Your attorney must show a doctor-patient relationship existed between yourself and the medical professional named in your suit, that negligence occurred, that said negligence directly caused your injury, and that the injury led to specific damages including medical bills, lost wages, lost earning capacity and pain and suffering. 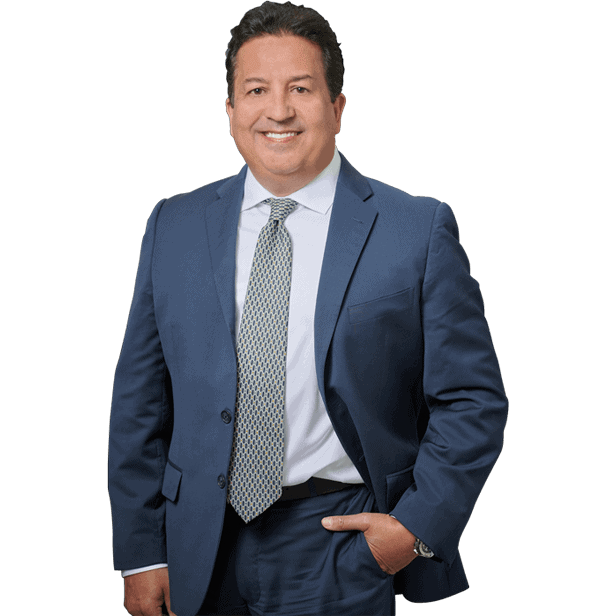 Your Miami medical malpractice attorney can accurate decipher medical records and documents and will aggressively present your case after a thorough assessment of the facts.